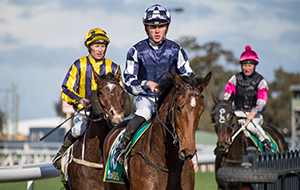 In the year that the Spring Racing Carnival celebrated a quarter of a century of international participation, it is fitting that the 2018 crop of overseas raiders enjoyed unprecedented success. 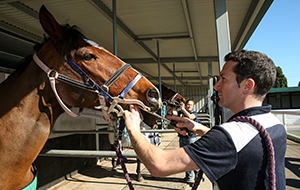 A record 42 horses passed through the three quarantine barns at Racing Victoria’s (RV) International Horse Centre at Werribee, with six visitors returning to the UK and Ireland with precious silverware in their suitcases. They included, most notably, Godolphin’s Lexus Melbourne Cup (3200m) hero Cross Counter, who led home an English trifecta in ‘the race that stops a nation’. His narrow defeat of Marmelo, with A Prince of Arran – trained by first-time Spring Racing Carnival visitor Charlie Fellowes – back in third, saw Cross Counter become the seventh international horse to land the Melbourne Cup and deliver yet more Australian glory for his trainer Charlie Appleby, who can now rightly claim a place amongst the global elite. Cross Counter’s slashing win on the first Tuesday in November, secured in quintessentially English weather conditions, was the second in succession by a northern hemisphere three-year-old and one of four Group 1s registered by Godolphin in an outstanding carnival for the ‘boys in blue’. 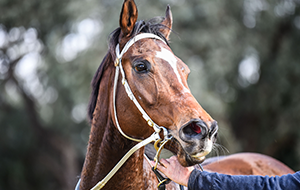 Cross Counter’s stablemate Jungle Cat, one of three Godolphin gallopers who touched down on 8 September, laid down an early marker with his powerful triumph in the Sir Rupert Clarke Stakes (1400m). 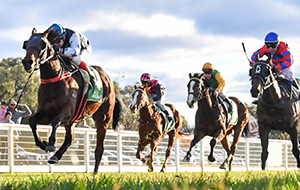 Jungle Cat was swiftly followed into the Victorian Group 1 winners’ club by Benbatl, who took out the Ladbrokes Stakes (2000m) after a pulsating battle with his fellow raider, Blair House. Benbatl’s trainer Saeed bin Suroor and jockey Pat Cosgrave promptly returned to Caulfield one week later and plundered the ultimate prize when Best Solution defied a wide barrier and troubled passage to become Godolphin’s second Stella Artois Caulfield Cup (2400m) winner. 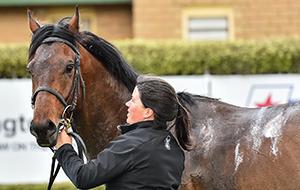 Benbatl backed up in the Ladbrokes Cox Plate, and whilst he ultimately proved no match for the peerless Winx, his runner-up finish was one of nine Group placings achieved by international horses. 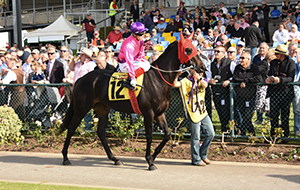 Two more Group races also went the way of the international brigade, with Yucatan taking out the Group 2 Herbert Power Stakes (2400m) and A Prince of Arran earning his way into the Melbourne Cup field courtesy of his win in the Group 3 Lexus Stakes (2500m). 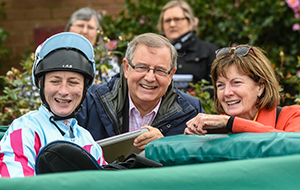 The $13.5 million in prizemoney the internationals collected was the biggest tally since Irish galloper Vintage Crop became the first overseas raider to plot a successful raid on the Spring Racing Carnival back in 1993. 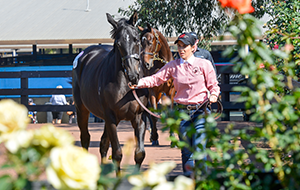 Seventy per cent of that prizemoney total was amassed by Godolphin, who are significant investors in Victoria’s racing and breeding industries. 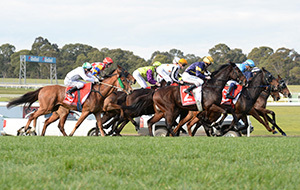 Excluding the prizemoney earned by Godolphin and the Australian owners of international horses, such as Aziz “Ozzie” Kheir and prominent businessman Gerry Ryan, a total of $2.4 million – less than three per cent of the total prizemoney and bonuses on offer across the 2018 Spring Racing Carnival – was claimed by overseas owners. 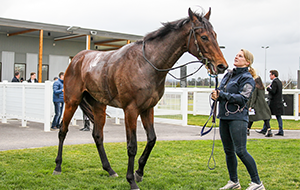 They include the powerful Coolmore operation and the Crown Prince of Dubai, Sheikh Hamdan bin Mohammed bin Rashid Al Maktoum, who have been significant supporters of Australian racing and investors in locally-bred horses for many years. 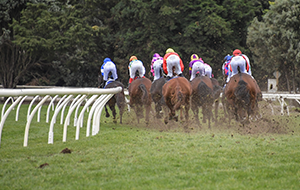 Thus, whilst some of the prizemoney inevitably left Australian shores, a significant portion of it is likely to be reinvested in the nation’s thoroughbred industry. 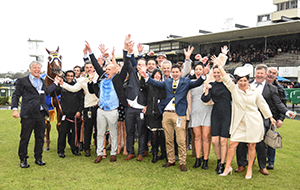 In his first year as RV’s General Manager of International and Racing Operations, Paul Bloodworth was understandably delighted to have played his part in the latest chapter of the success story of the Spring Racing Carnival, which has now welcomed more than 250 internationally-trained horses. 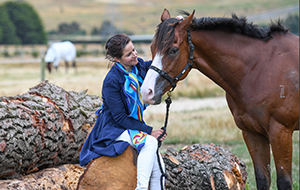 “It was obviously another very successful spring for overseas horses, and Godolphin winning their first Melbourne Cup and second Caulfield Cup was a fitting way to celebrate 25 years of international competition,” he said. 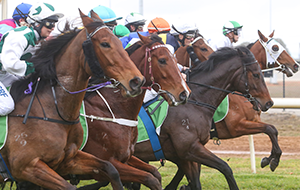 “Several records fell over the Carnival, with internationals competing in a record 19 races, 42 horses passing through Werribee and turnover up at virtually all race meetings the internationals competed in. 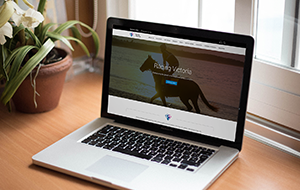 “Charlie Appleby has already said that Cross Counter is likely to return next year to defend his Melbourne Cup crown and the feedback we received from the international stable staff was again very positive, so no doubt we can expect another influx of high-class visitors to return to Melbourne in 2019. 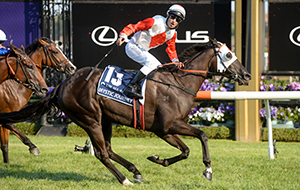 “I was particularly pleased with the increase in overall quality of international horses competing across the spring, with seven horses rated 115 or higher and another two in Cross Counter and Marmelo having their ratings increased above 115 after their performances in the Melbourne Cup.